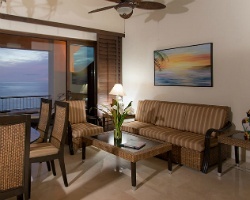 Gorgeous resort on the beach of Playa Destiladeras! 480 yearly points! Buyer may receive a title fee credit; inquire for details! 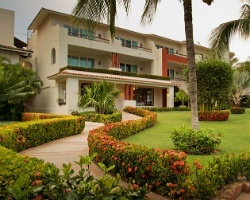 *Rancho Banderas Vacation Villas* is a beachfront property located on the north shore of the Bay of Banderas in the state of Nayarit. This vacation ownership resort is situated on Playa Destiladeras, which is renowned for its soft white sand and crystal clear waters. 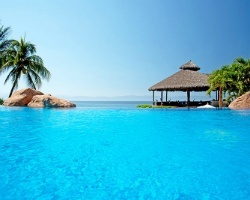 Playa Destiladeras is recognized as the premier beach within the Bay of Banderas. The resort consists of luxurious villas nestled on red sandstone bluffs rising from the beach and blending naturally into the landscape. 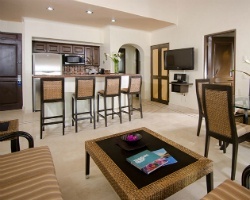 Visit www.ranchobanderas.com to discover more! *Interval International Premier Resort* Featuring beautifully appointed floating accommodations. Annual usage is based on points, with 480 points every year included in sale. RTU contract runs until 9/30/2047. For more information or to make an offer, please submit the inquiry form.